It was certainly a frustrating afternoon at Turf Moor yesterday afternoon when Burnley, fresh from the win at Chelsea seven days earlier, suffered a 1-0 defeat against West Bromwich Albion in the first home game of the season. Maybe expectations had been lifted following that fantastic win at Stamford Bridge but we were certainly brought down to earth when substitute Hal Robson-Kanu scored the only goal of the game to win the game for the visitors and make sure we didn’t get a second successive win to start a top flight season for the first time since 1973/74 when we won against Sheffield United and Chelsea. It’s relatively easy to write about a game in which you have played well and won all three points, as was the case a week ago, and, although not as pleasurable, it is similarly so when you lose and deserve it. It’s good fun to write about a game in which you have perhaps won more points than your performance deserved while the most frustrating are those games where you feel your performance warranted more in terms of points, and that, in my view, was definitely the case yesterday. I know the stats show that we didn’t have a single effort on target and that West Brom scored from the only one they had, but that really doesn’t tell the story of the performance, how, over the ninety minutes, were by far the better side and played some really attractive football. Not surprisingly, Sean Dyche named the same side that had won at Chelsea with the same seven substitutes while Tony Pulis, who gave Gareth Barry a debut, named former Claret Jay Rodriguez in his starting line up. We started quietly but as the half went on we got better and better. We moved the ball so well with Steven Defour, my choice as man of the match again, and Jack Cork in particular standing out although Jeff Hendrick, another in good form, caught the eye with a couple of efforts on goal as did Johann Berg Gudmundsson who came close twice within a couple of minutes, one with a shot from just outside the box which went narrowly wide and then with a header which was saved by Ben Foster although it was probably going just wide. The best two chances of the half fell to Sam Vokes and Ben Mee both from Robbie Brady crosses. Sam looked a certain scorer when Brady crossed from the left, but just couldn’t get enough on it and Mee’s header from a right wing corner seemed to hit the post with Dyche suggesting after the game that he’d been fouled by Barry. But it was all square at 0-0 as they went in for half time. We’d been the better side by some distance and should have been in front, and to add to that frustration we’d had to put up with West Brom’s negative tactics with time wasting tactics being employed at every opportunity. Nothing much changed in the second half although once again we did start quietly for the first few minutes. Admittedly, we didn’t create quite as much in terms of goalscoring opportunities but we were dominating the game and at no point did I honestly think we might lose it. But lose it we did with a goal from former Reading player and Welsh international Hal Robson-Kanu who had come on as a substitute for James McClean just eight minutes earlier. And it was a goal as basic as you like with too many errors. It was no more than a punt upfield from Chris Brunt that saw Matt Phillips beat Mee to head into the path of Robson-Kanu. He evaded a half hearted challenge from Stephen Ward and then, almost as easily, got the better of James Tarkowski before firing him past Tom Heaton. Ward, in particular, and Tarkowski will certainly be less than happy at how the goal was conceded. With West Brom having defended well with Craig Dawson, once a Burnley target, and loan player Ahmed Hegazi on top form, it suddenly looked a formidable task to get anything out of the game and so it proved. Dyche sent on both Ashley Barnes and Jon Walters; soon after we were playing against ten again when Robson-Kanu was sent off as he led with his arm in a challenge with Matt Lowton. Referee Martin Atkinson didn’t hesitate with the decision and, having seen it numerous times, I think he got it right. Embed from Getty ImagesWe did put West Brom under some pressure but the goal just wouldn’t come. Barnes fired over with a difficult chance, Foster was spoken to time and again for time wasting and I lost count of the number of times we got the ball into their box. The board went up showing four extra minutes and we did force them into even more defending and virtually on time we really should have scored. Hendrick it was who got the ball over from the right, finding an unmarked Walters who couldn’t have wished for a better chance on his home debut. Unfortunately, his header went over the bar and the last chance was gone. West Brom had the points and we’d failed to build on that brilliant win a week earlier. It really was a disappointing afternoon but also one to enthuse about. We played some really good football and, for those interested in possession, we had 68% of it, albeit against a team who don’t really want the ball. On another day, a performance like that would have given us all three points but it was one of those days when things didn’t go for us. We do need to be more accurate in front of goal and we can’t afford to make the sort of basic mistakes that cost us the goal, but if we can continue playing the sort of football that was on view yesterday then there are some good days to come. We even saw Defour play for 90 minutes. Now we’ve got a big week in front of us. There are 5,000 Clarets travelling to Ewood on Wednesday for a League Cup tie and next Sunday we are on our way to Wembley to face Spurs. The first of those games is between the two teams I saw play on my first ever away trip and the second is at the same venue, and against the same team, when I saw a football match in London for the first time. I’m looking forward to both and hope I’m looking forward to reporting from both. 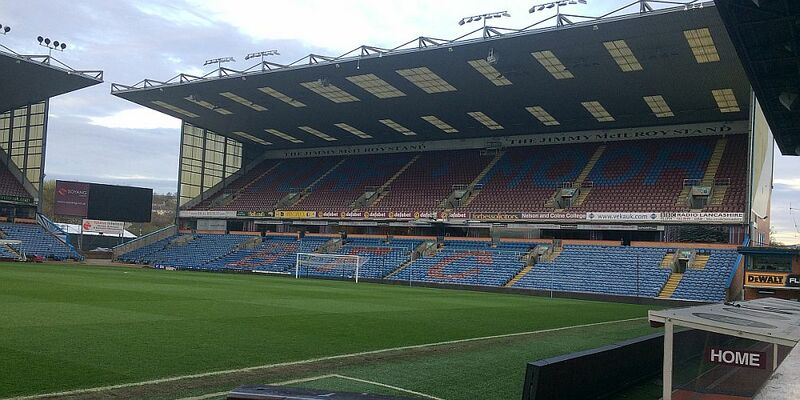 Burnley: Tom Heaton, Matt Lowton, James Tarkowski, Ben Mee, Stephen Ward, Johann Berg Gudmundsson (Ashley Barnes 79), Jeff Hendrick, Jack Cork, Steven Defour, Robbie Brady (Jon Walters 78), Sam Vokes. Subs not used: Nick Pope, Kevin Long, Charlie Taylor, Ashley Westwood, Scott Arfield. West Brom: Ben Foster, Allan-Roméo Nyom, Craig Dawson, Ahmed Hegazi, Chris Brunt, James McClean (Hal Robson-Kanu 63), Jake Livermore, Sam Field (Salomon Rondon 85), Gareth Barry, Matt Phillips, Jay Rodriguez. Subs not used: Boaz Myhill, Kane Wilson, Rekeem Harper, Jonathan Leko, Nacer Chadli. Attendance: 19,619 (including 1,317 from West Brom).